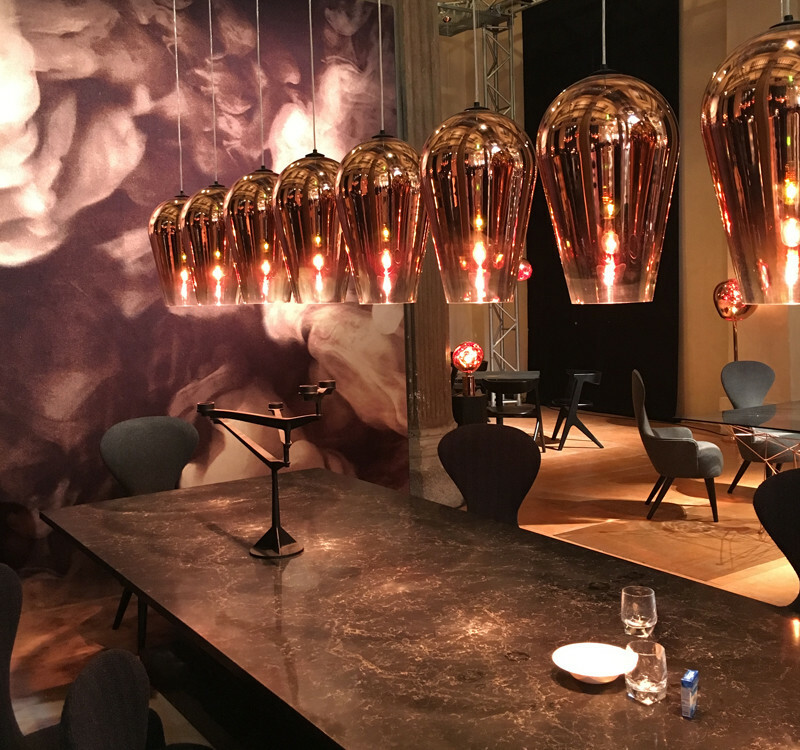 Nest.co.uk bring you all the best interior design tips that we picked up at the amazing Milan Design Week, the Salone Del Mobile. The show-stopping Fade Pendant by Tom Dixon. Brights can be quite alarming and off putting to those who’re used to a more neutral colour base, but they’re a huge trend and can look really effective. A top tip is to contrast bright feature pieces against neutral colour palettes and against natural textures. This is a trend that was noticeable in a variety of different designers’ works and something that you can incorporate into your home in as big or little capacity as you like. 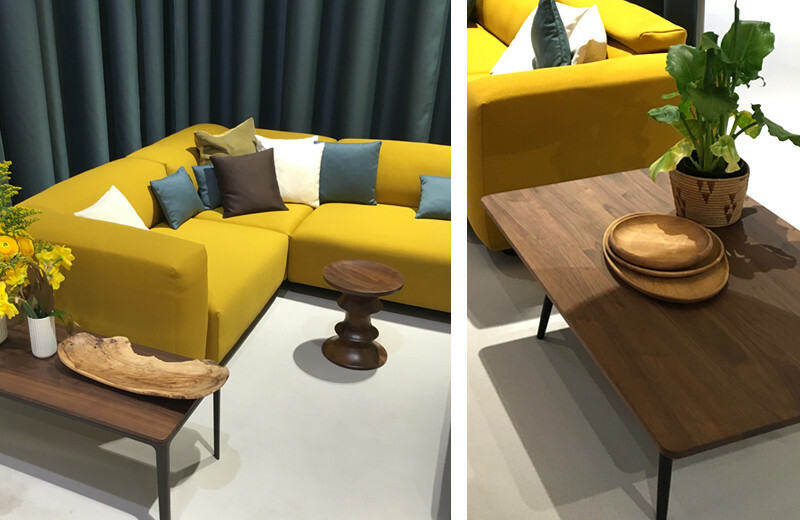 A statement bright yellow sofa like the Soft Modular Sofa by Jasper Morrison for Vitra looks great positioned against the warm tones of a Vitra Eames walnut coffee table. You can introduce bright colours on a smaller scale by accessorising with bright lamps or vases. Incorporating industrial materials into the home has been a trend for a while in Scandinavian design and looks set to continue from the displays we saw in Milan. You can introduce industrial materials into your home easily, whether that’s by adding industrial accessories like concrete based lamps, something larger like marble surfaces or an exposed feature, such as socket lighting. 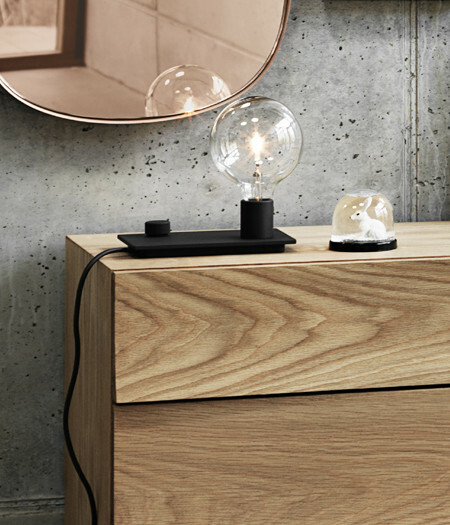 A popular twist on the industrial trend is the Muuto Control Lamp. Ever the innovators, Muuto showcased their impressive new Control Lamp which added a touch of fun to the fair with its charming pop of colour and playful dial design feature. The exposed bulb is inspired by their popular E27 suspended light design and its design resembles the style of an 80s hi-fi or piece of industrial machinery. Its simplicity perfectly complements the minimalist nature of Scandinavian design and fits seamlessly into a number of different rooms of the home, plus its bright tangerine tones work well with the bright trend. 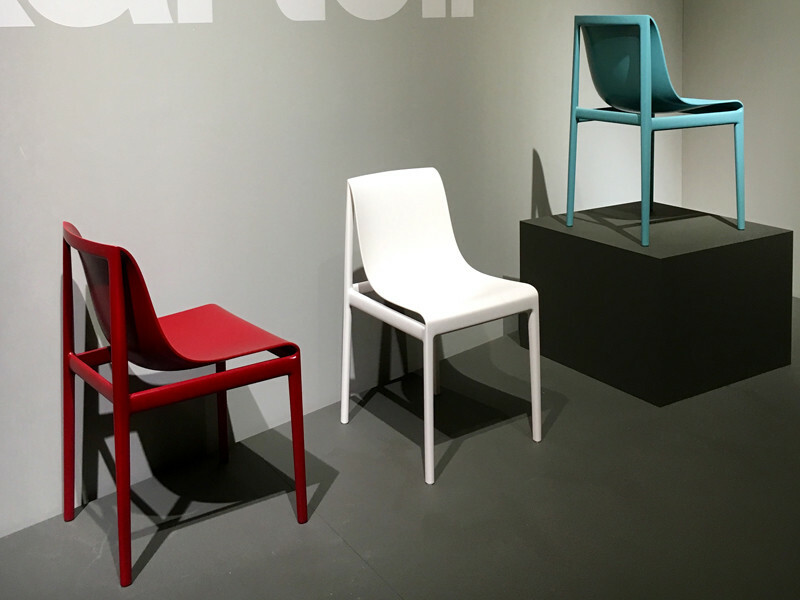 Smooth curved silhouettes were increasingly popular and the Kartell Dream'Air Chair designed by Eugeni Quitllet made quite an impression. Its fluid curves and simple design was inspired by the billowing movement of fabric blowing in the wind and the refreshing colour palette is romantic in its rich tones and bolder shades of colour. These shades work well in contrast with the Scandinavian neutrals that are dominating homes at the moment. This trend can also transition from the home into outdoor spaces, as demonstrated by the new softer lines displayed by HAY. 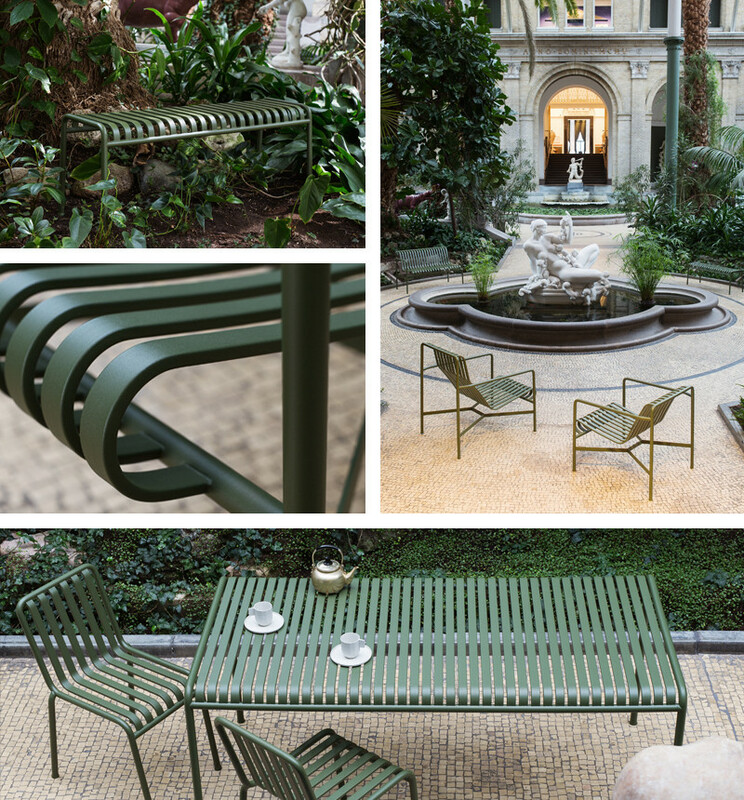 The Palisaide collection looks elegant and works in a number of different outdoor spaces thanks to its smooth curves and simplistic design. A top tip that you'll be thankful for if you're short on space is that compact living has become a real focus of high end interior design, and being as space efficient as possible is just as important to designers as creating timelessly stylish pieces. 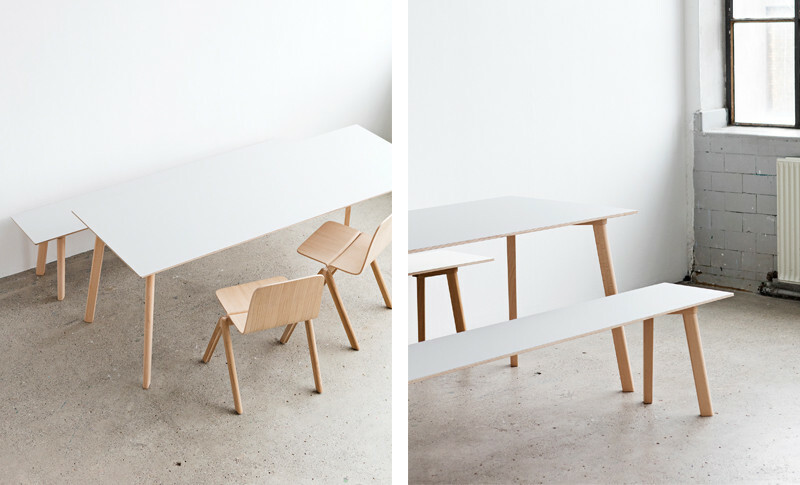 This is evident in the sleek design of the Copenhague Deux dining table and bench by HAY. Renowned for their clever thinking and affordable design, it has the perfect proportions for modern living and is extremely durable with its laminate top and solid oak frame. 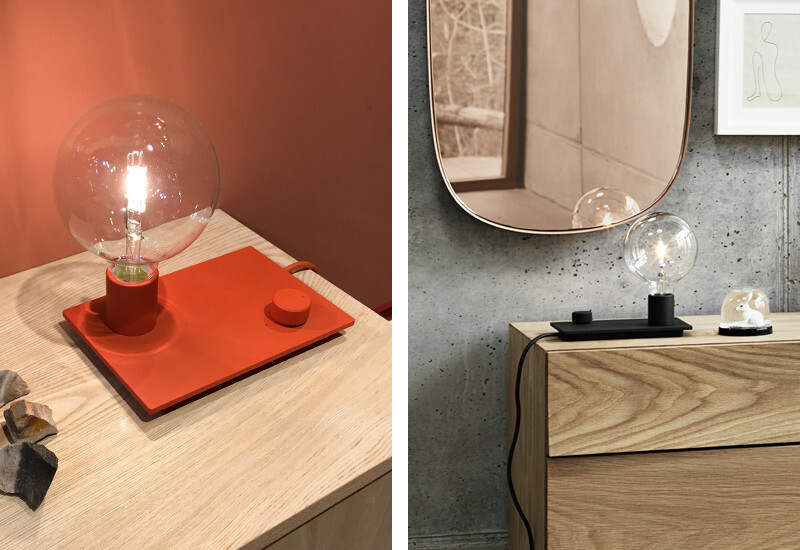 Each of these trends from the Milan Design Fair can be introduced into your home easily by adding a few new feature pieces. We will have design pieces from some of these designers arriving at nest.co.uk very soon, so you can update your interior with timeless pieces in no time.